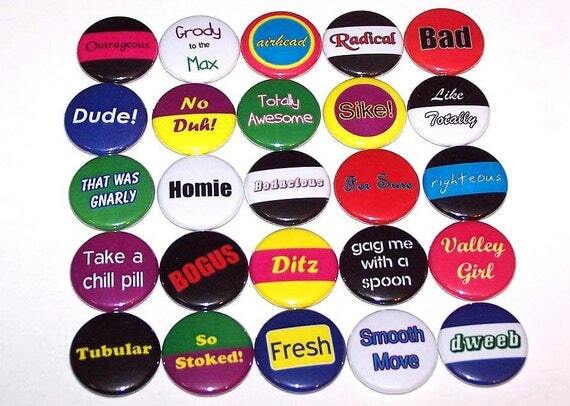 While we consider ourselves marketing watchdogs, we can certainly take a moment to give a product credit where it’s due. Product innovation, on the other hand, has never exactly been one of Jif’s strong points. After debuting in 1958, it took nearly two decades to introduce its extra crunchy flavor (1974), followed by a healthier version (1991), again, almost two decades after that. Now, exactly two more decades after 1994’s Reduced Fat Jif, we now have Jif Whips, as we noticed in a primetime TV commercial last night. It wasn’t like we were expecting to see the old-fashioned “Choosy” tagline eradicated from the ad, but we were hoping it might be a chance for Jif to match this product originality with the beginnings of a marketing slogan revolution that could catapult the company into modernism. 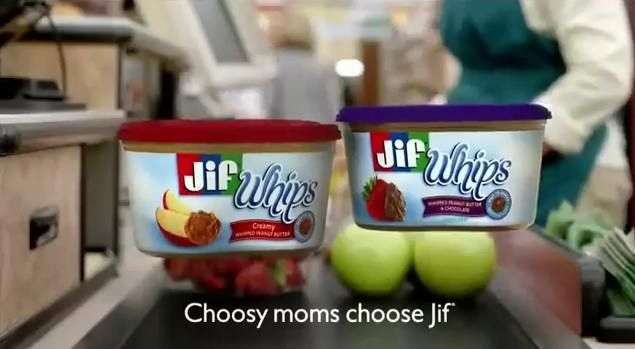 Like an eighties child attached to tired catchphrases of yesteryear, Jif remains unknowingly insistent on showing its old age, unable to let go of a past by introducing an inventive, new product mismatched with a slogan that simply doesn’t work anymore. This isn’t like a midlife crisis — [insert mumbling voice] you’re 56, by the way, Jif — it’s more like a catastrophe. A disaster. And certainly an embarrassment. This awkward screen shot only validates the confused and gauche product we call Jif. 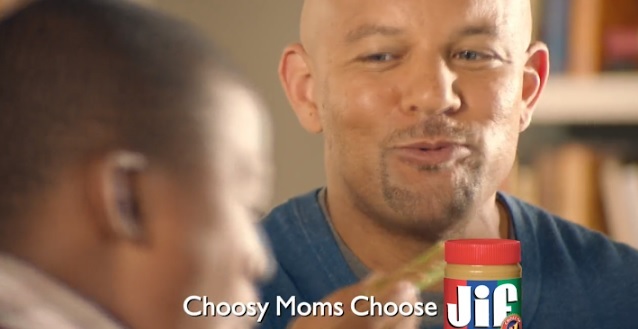 We know Jif doesn’t really care for dads, but what do gay dads think of the “Choosy” slogan and its website’s “mom advisor”? Has Jif even bothered to ask? It’s unfathomable how long this ridiculous slogan has lasted, but it’s difficult to disengage from pride. Actually, we’re not asking Jif to run away from its traditions, but it cannot become a slave to its past. Its past is its present. It can’t let a so-called unchangeable slogan be an excuse for a possible eradicating perception as a pioneering company, or at least for being the best it can be. It must aggressively compete for every customer imaginable, and cannot sneer at innovative marketing thoughts and forward thinking simply because it’s connected to some slogan from which it can’t let go. The great brands don’t sit on a slogan for life, and even the rare ones who can (Nike comes to mind), don’t possess a phrase that’s old-fashioned at best, and gender-parental exclusionary at worst. We insist, all of the above is a recipe for an eventual loss of market share. What do you say, Jif? Can you whip up something new? At least one Christmas card and a whole lot more customers might depend on it.